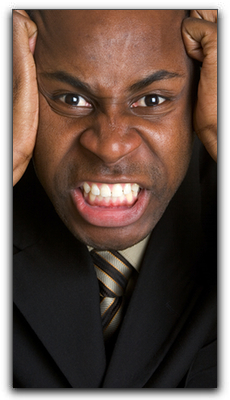 Everyday stress can cause some people to clench their jaws or grind their teeth in response. This can lead to a painful condition known as TMD, which is treatable at Jim Erpenbach DDS in Knoxville. Daily commuting, work problems, or an overpacked schedule are some persistent causes. TMD is shorthand for Temporomandibular Joint Disorder. It is often mistakenly called ‘TMJ,’ the acronym for temporomandibular joint. Your jaw is able to open and close thanks to many muscles and the intricate temporomandibular joints. These joints permit fluid mobility as you chew, speak, and yawn. Damage to these essential joints can lead to acute pain in the jaw, head, face and neck. Pain may be experienced on one or both sides. TMD is often misdiagnosed, because facial pain can result from a variety of troubles, not just damage to the temporomandibular joints. Sinus infections, tooth decay, and facial inuries can cause jaw pain. A valid diagnosis is the first step in treating TMD. At Jim Erpenbach DDS in Knoxville, we diagnose and treat TMD, working with other specialists when required. If you experience clicking, popping, or discomfort in your jaw, call us for a diagnosis and treatment plan. Our services include family dentistry. Make an appointment today.